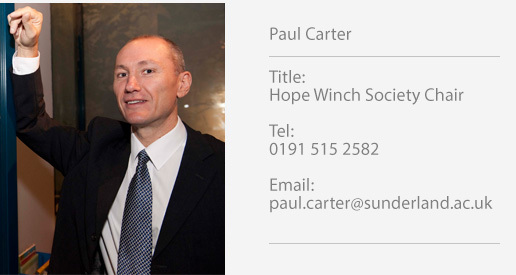 The Hope Winch Society began in 1984 and it is for all University of Sunderland Pharmacy Graduates. Named after Hope Constance Monica Winch, who was appointed as the first head of the University's pharmacy department and was instrumental in its development. This Society was set up with the aim of keeping ex-students in contact with each other and the highlight of each year was to be a reunion dinner. 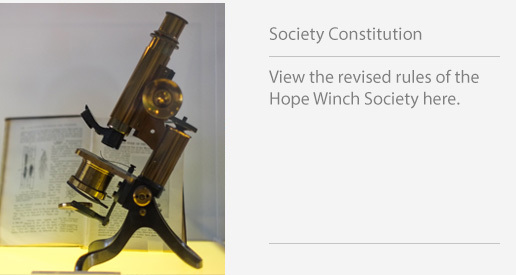 The Hope Winch Society is free and we encourage all students and staff to join and get involved, promoting the proud history of Sunderland Pharmacy School. Events include quizzes, networking sessions, an annual lecture and the Hope Winch Annual Reunion Dinner. Boasting over 300 members, this is the largest alumni society. Membership is free so why not join today? The Hope Winch Benevolence Fund provides annual scholarships to current undergraduate pharmacy students.